Detel has launched what it is calling the "world's most economical TV" as a part of its #HarGharTV mission. We've seen incredible disruption in the smartphone market, with brands fighting to bring the best features at affordable prices, which has resulted in a spike in smartphone adoption. Detel, India-based electronics brand known for its ultra-cheap mobile phones, is ready to bring disruption in the television market with its latest launch. 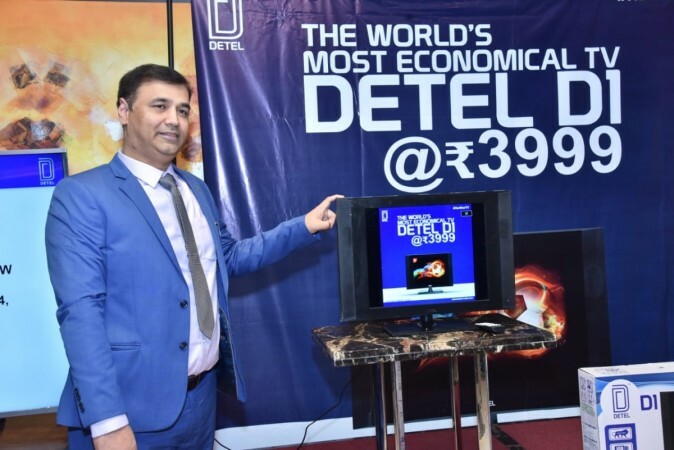 Detel introduced D1 LCD TV at an event in New Delhi on Tuesday, bringing the most affordable TV choice for the masses who cannot afford a television. Detel D1 TV is touted as the "world's most economical TV" and its Rs 3,999 price tag clearly backs up the claim. You've heard it right. Detel D1 TV costs just Rs 3,999 and it can be purchased through the company's official website and its mobile app. Distributors and partners can purchase the cheapest television through B2BAdda.com. "We believe in customer-inspired innovation. Due to soaring prices of TVs, there is a huge vacuum in the market for affordable TVs. With Detel D1 TV, we are all set to fill this gap under our mission #HarGharTV. We have always created products not to outgrow any other brand, but to be present where no other brand is. We aim to reach to the remotest parts of the country with our D1 TV and make a difference to the lives of millions," Yogesh Bhatia, Detel MD, said in a statement. If you're wondering what the Detel D1 TV could offer at such a low price, here's a quick run through of the specs. 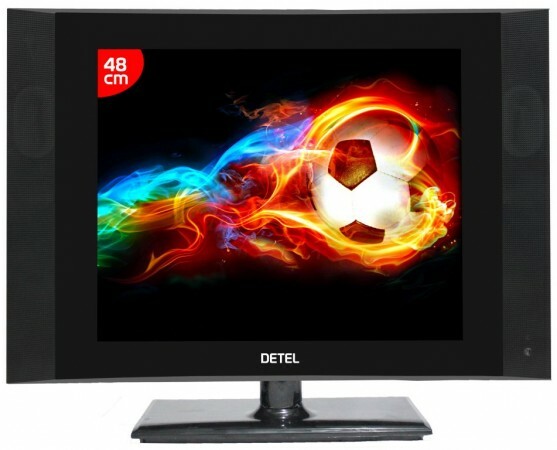 Detel D1 comes with a 19-inch display panel with 1366x768 pixels and 300000:1 contrast ratio. There are two front-firing 12W speakers for audible sound and has a stand to firmly hold the LCD TV on a table. Interestingly, Detel D1 TV features an HDMI port that can be used to attach a computer or laptop. There's also a USB port available on the TV to support audio and video playback via USB drive. We are not counting heavily on the visual quality displayed by the TV, but considering the price tag and the fact that it is targeted towards 33 percent of the Indian population that do not have access to television, Detel D1 is a steal. Detel is confident the television market is going to grow at a significant rate with the government bringing electricity to every household in India by the end of this year. Detel's cheapest TV could be the go-to choice for many people who are buying a TV for the first time.